Another hit with younger kids. 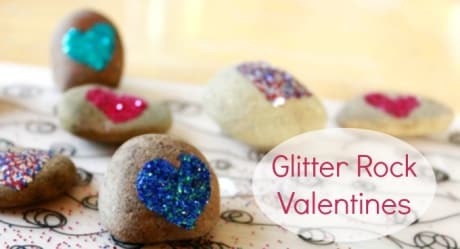 Rocks, glue and glitter!! 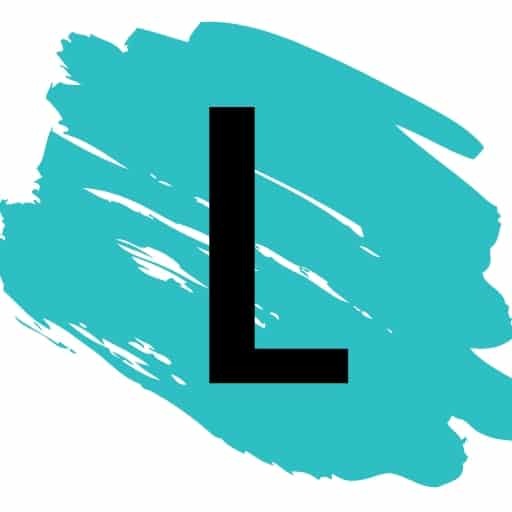 Check out the article from Artful Parent to gain some inspiration. I just couldn’t pass this one up. I’m am a bag hoarder myself. In fact, my husband often refers to me as the “bag lady”. While some may take offense to that. It’s no problem for me — I own it! 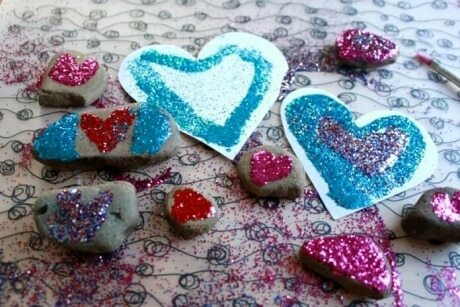 Here’s a quick and easy valentine craft that is sure to please the “bag lady” in all of us. 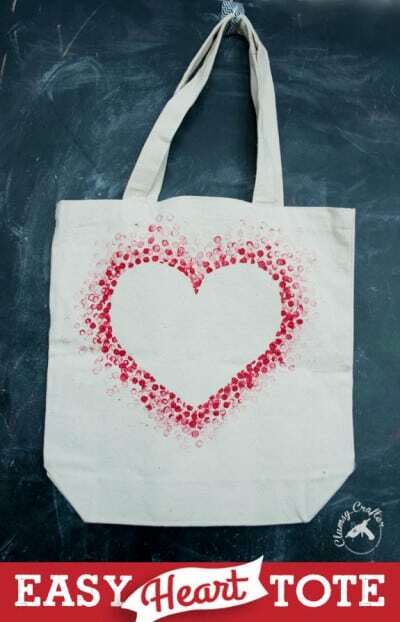 Check out the step by step from Clumsy Crafter. This craft is sure to keep little fingers busy, and what a cool looking guy with springy arms and legs! It’s amazing just how many uses there are for a red solo cup. In fact, we have an article on Listotic explaining what the lines represent on a solo cup. 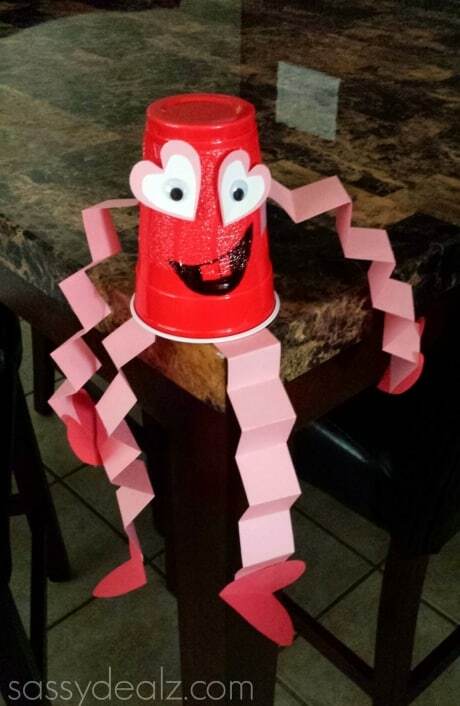 For details on making this creative and fun Valentine man, check out Crafty Morning.